An open floor plan can be both a pleasure and a challenge when it comes to decorating. The vast space presents opportunities. Are you having difficulty with your main living area? 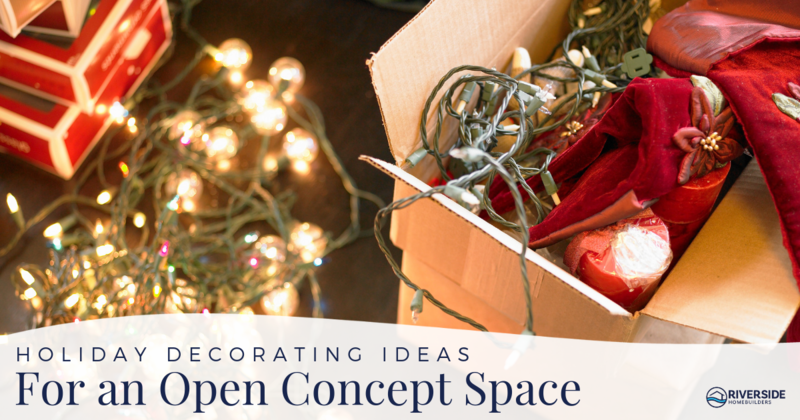 Riverside Homebuilders has experience with this look, so here are some holiday decorating ideas for an open concept space. The high ceilings and wide area might seem hard to define. So, approach them as smaller spaces, much like you would separate your living room decor from the dining room. You don’t need walls to create a room within a room. With an open concept, you have zones, but they flow seamlessly from one to the next. The Winter Wonderland. View the space as one great big tribute to the holidays, with visual candy visible from anywhere you sit or stand. Think of it like walking into a holiday display in your town’s park or a department store. It’s exciting and awe-inspiring, particularly when the lights are twinkling. The Holiday Showroom. This seasonal decorating style works much like your approach to furnishing this space—creating zones. Design each one like a vignette. Place holiday books and magazines for all ages in your reading nook, encouraging storytime. In the great room, add a table where you and your family can work on a wintry jigsaw puzzle together. Each room has a task but it’s made more festive with your holiday decor. You can even incorporate a variety of small trees throughout your living area, decorated with different themes, in each space. Once you’ve decided how to approach your open floor plan, here are some tips to use. Rather than sprinkle your holiday spirit all over the space, remove some of the items that don’t contribute to your vision. Stashing things like decorative accents, centerpieces, floral arrangements, collectibles, and even toss pillows and throws will give you a larger canvas to do your artful best. Pack it up in as few containers as possible, which makes it easier to find it all when you’re ready to go back to the post-season norm. Because your entire holiday spectacle is visible in this open area, it’s important to maintain some consistency. Color is the easiest way to achieve that. Choose your color palette—like shimmery silver and gold, sparkling white and blue, traditional red and green, or whatever suits your style. You can incorporate different shades of your color preferences to add interest. Trim up a tall tree. It can be tempting in a large, open area to go big—really big. Don’t let it get out of hand. The best decor comes from balancing the scale of the decor. A big tree is a great focal point for your main living area. Place it in a space where you can enjoy it from anywhere in the room. Allow for space around the tree so that it stands on its own (figuratively, not literally). Use ornaments that are in proportion to the tree. A big tree commands large ornaments! You will be surrounding yourself with this decor throughout the season. Make it meaningful. What do your choices say about you and your household? Are you fun-loving? Do you like homespun and heartfelt mementos? Would you like to show your high style this time of year? Think about your home’s decor as a story it tells about the people living here. There’s no better place to present your story than in the largesse of the open concept! Every space—from your fireplace to the kitchen and everywhere in between—is a chapter in your holiday story. What is YOUR “once upon a time”? If that story has a happy ending in a new home, Riverside Homebuilders would like to be part of it. Our communities of single-family homes are located in wonderful Dallas-Fort Worth suburbs. We offer many neighborhoods with one-acre lots. Talk to us to start the next chapter. Right now, Riverside Homebuilders is offering special pricing on a selection of move-in ready homes. You can also choose one of three ways to save, with your choice of up to $2,000 in closing cost credit, a side-by-side refrigerator and washer/dryer, or two-inch, white faux wood blinds. 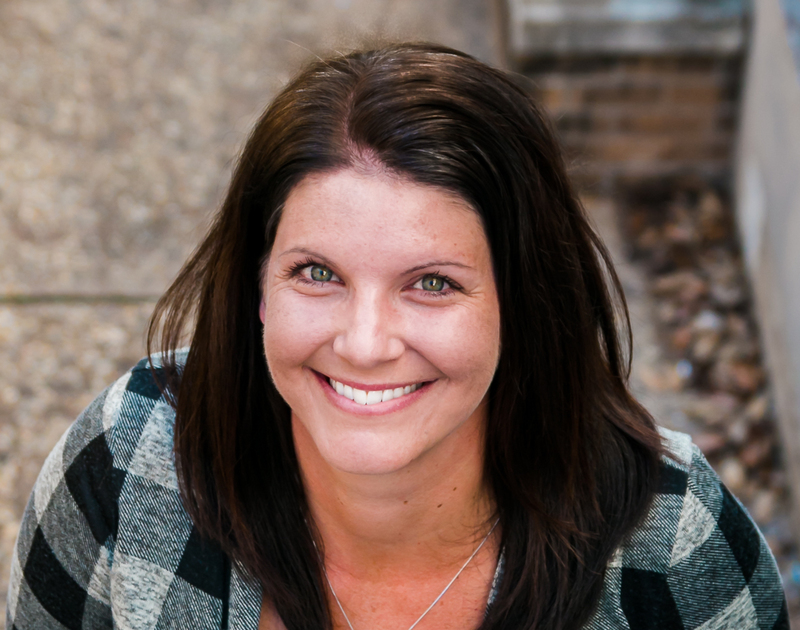 Contact Rachel to give yourself a really great present this year!